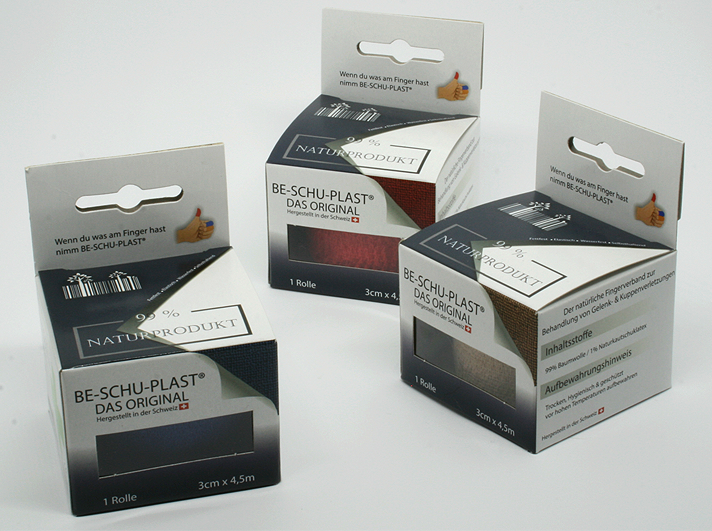 Thank you for your interest in BE-SCHU-PLAST®, the finger bandage on the roll. For more than 35 years, we have always strived to meet the needs of our customers and to adapt them to the wishes of placing our association with first-class quality on the market. We are pleased to announce that we have launched a sustainable natural product that is controlled and qualitatively traded in Switzerland. The original in the 5th generation is now even softer and more flexible with improved weave structure and new composition, adheres to itself without any aids and thereby protects the environment. The right choice for treating wounds and cuts on hand or foot. Whether in everyday life or job BE-SCHU-PLAST® can withstand the demands. Our new addition to the BE-SCHU-PLAST® product family supplements the need for straining, compression, contusion or contusion. 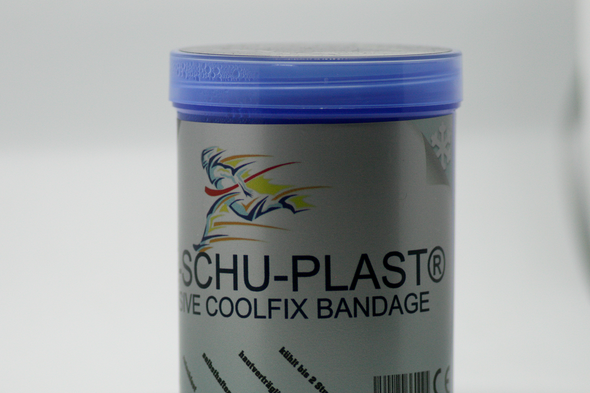 Due to the compression effect with up to 2 hours lasting instant cooling effect the COOL FIX bandage u.a. perfect for strength and endurance athletes. when the pain is in the Joints.